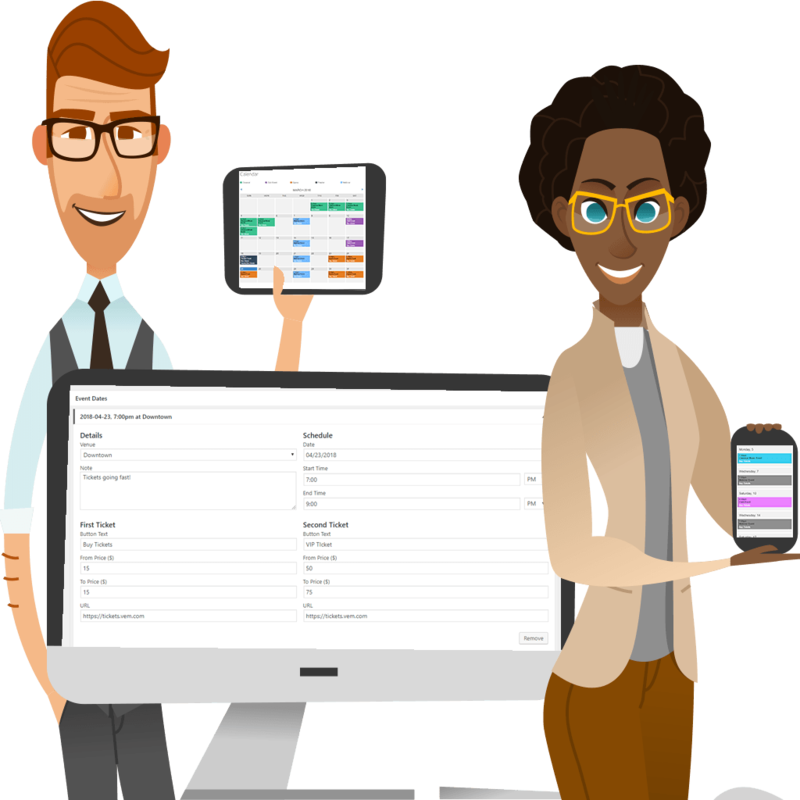 It’s the event management platform you’ve been looking for, available in both free and Pro versions. Easy to install, setup, and maintain. Create unlimited calendars, lists, and single event pages. User friendly for admins and site visitors. Fast, feature rich and extensible. Optimized code for a post-net neutrality world. 100% responsive with elegant designs. Secure and stable with no database bloat. We ♥ Nonprofits! Learn more about our nonprofit discount. What Makes Our Plugin So Special? 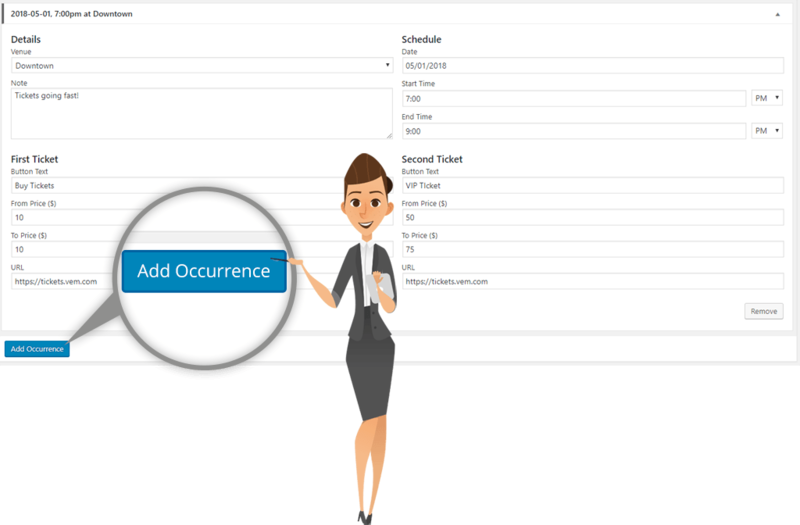 Unlike other event management plugins, VEM provides true flexibility when creating multiple occurrences of the same event. Forget about a complicated set of recurrence rules or cranking out multiple copies of the same event for each occurence. VEM is designed to drastically reduce time entering and managing your event information so you can focus on being creative and promoting your events. Why fuss around with complicated rules just to add more than one occurrence. With VEM, just select the “Add Occurrence” button and the system duplicates all of the details from the most recent occurrence; all you have to do is change the info you need. Of course it should be this easy! That’s just the beginning, learn more about why we stand apart. We’re all about playing nice with other providers and we’re 100% compatible with all self-hosted and off site ticketing providers. We’re happy to provide recommendations for either option based on your ticketing needs. All you need is a URL to use for each event occurrence and VEM pushes that out to all ticket purchase links and buttons.